Download & Listen to the show here, and subscribe in iTunes for FREE! 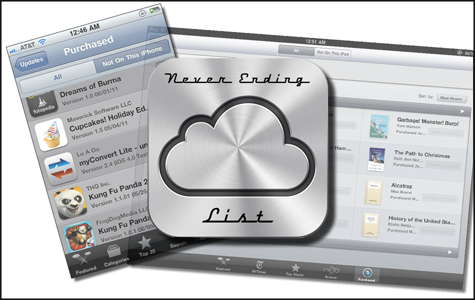 Scott finds out that iCloud really stands for Never Ending List. John Nemo and Sheba talk about white iPhones, iPhone 4 photography, and shoes. Sam Negri does handstands for the Handstand Case for iPad 2. Suzé Gilbert brings us the King of iPhone photo apps, King Camera. And finally John Nemo returns to sing of his love for us with his iRig Mic for iPhone, iPod touch, and iPad.